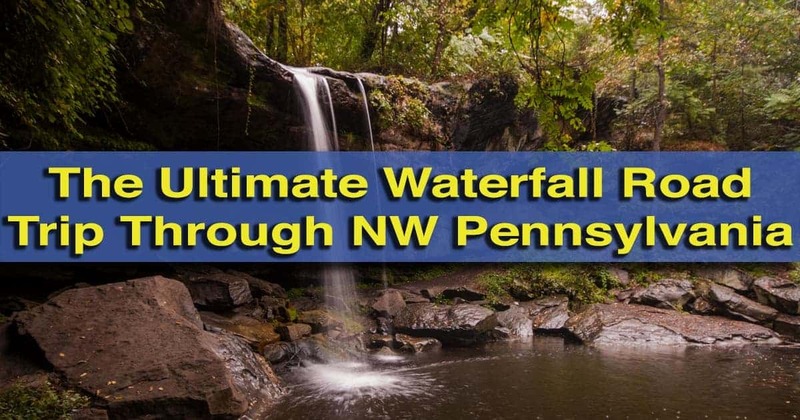 While northeastern Pennsylvania might have a higher concentration of waterfalls, some of my favorite waterfalls in Pennsylvania are located in the northwestern part of the state. These waterfalls are often little-known, despite usually being easy to reach and quite impressive. So, I decided to put together a two-day itinerary for those looking to see the best waterfalls that the region has to offer. These waterfalls are laid out in a route that is easy to follow, with suggestions for where to stay during your trip. You’ll likely find that this itinerary is very doable, but not fast-paced, giving you enough time to enjoy each waterfall that you visit. 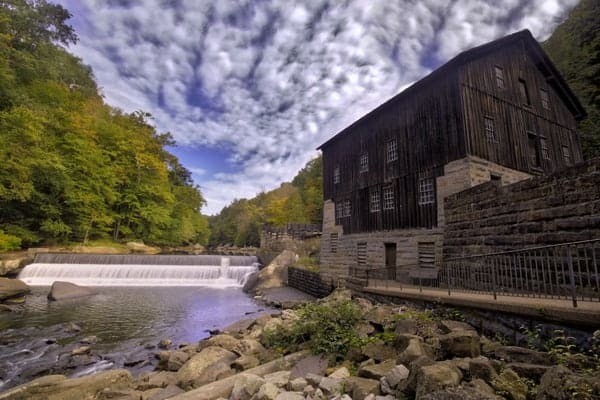 Should you want, you could likely do this itinerary in one very long day if you omit the waterfalls of McConnells Mill State Park, including Hell’s Hollow Falls. However, given the beauty of that park, I certainly don’t recommend that. Each waterfall is listed with coordinates to help you find them. 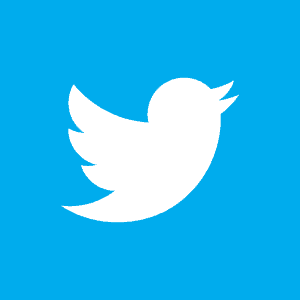 If you don’t know how to use coordinates, check out this handy user guide that I put together. The specific hotels recommended are ones that I’ve had the privilege of being invited to stay at during my time in the area. If you book your hotel using the links, UncoveringPA will receive a small commission at no charge to you. This money will go directly into helping me to bring you even more great content on the site. The trip below starts just north of I-80 in Venango County. 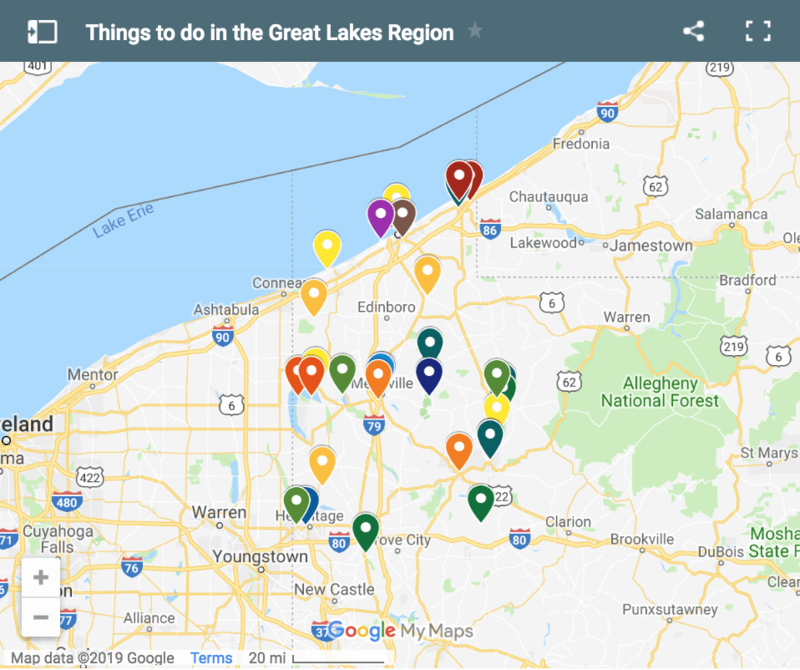 Should you be looking for somewhere to stay prior to starting this trip, there are nearby hotels in Clarion and Foxburg. 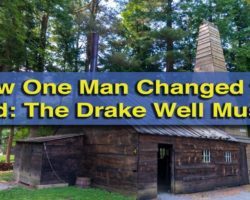 A pre-trip to see the waterfalls and history of Oil Creek State Park, would also open up the option of staying in Oil City or Titusville. So, what are you waiting for? 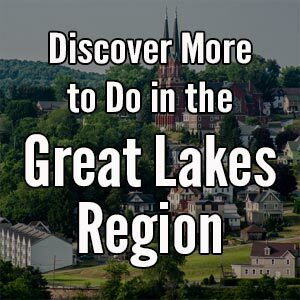 Check out the map and itinerary below and head out for a fantastic waterfall trip across northwestern Pennsylvania. 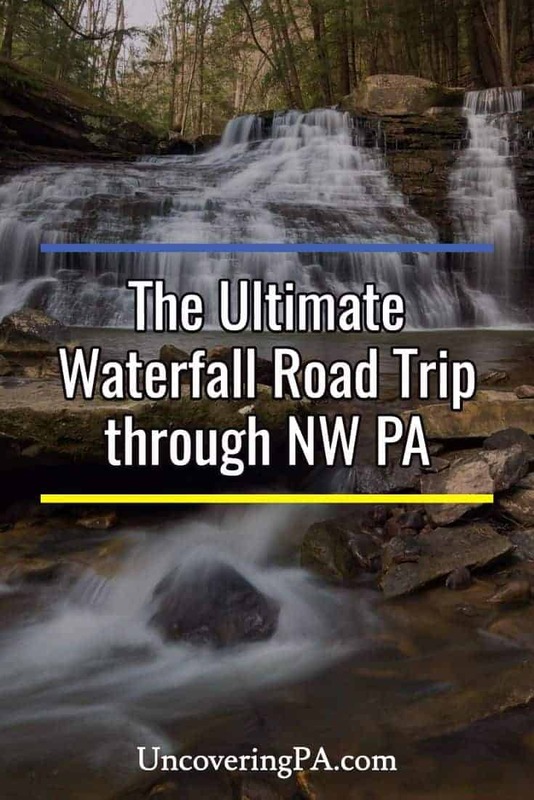 Start your two-day waterfall trip through northwestern Pennsylvania with a stop at the beautiful Freedom Falls. 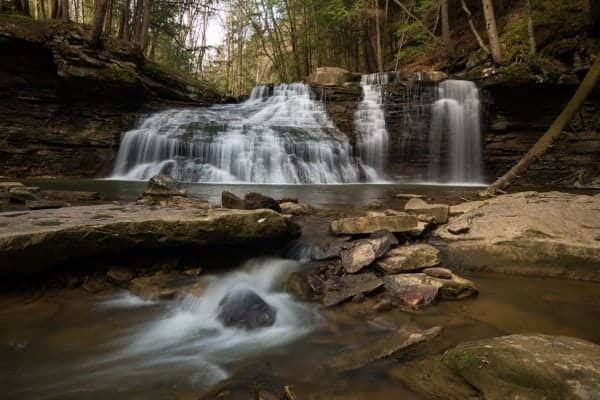 Located north of Emlenton and Interstate 80, this waterfall is tucked away in a very secluded area just above the Allegheny River. The hike to the falls is only about five minutes from the parking area. Freedom Falls is 20 feet tall and roughly 50 feet wide. While in the area, don’t miss the very well-preserved Rockland Furnace which is less than 100 yards downstream from the waterfall. Freedom Falls can be found at the following coordinates: 41.236661, -79.746500. For more information, check out my full write-up about visiting Freedom Falls. Potter Falls near Emlenton, Pennsylvania. Located a few miles north of Freedom Falls is Potter Falls. Unfortunately, it has been closed to the public. Please respect the property owner’s rights and do not try to visit this waterfall. Please also make sure to be respectful of outdoor sites and make sure to take your trash out with you. It would be a shame for even more waterfalls to be closed to the public in the future. Springfield Falls in Mercer County on a day with very heavy water flow. 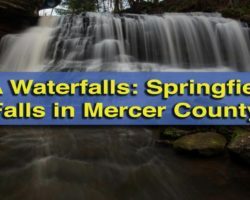 Springfield Falls is located in Mercer County, Pennsylvania, along Route 19, just a few miles from both Interstates 80 and 79. 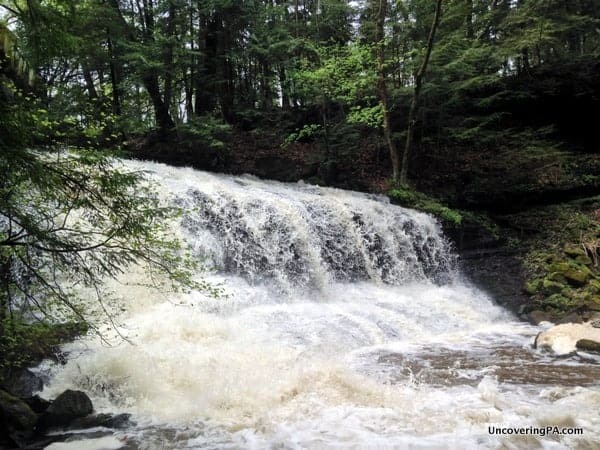 This waterfall is located close to the road on State Game Lands property. Springfield Falls, which is also known as Leesburg Falls, is roughly 20 feet tall and approximately 40 feet wide. Getting to the top of this waterfall is quite easy, but getting to the bottom is much more of a challenge. Those who do get to the bottom should note that the far side of the creek is private property and is posted against trespassing. 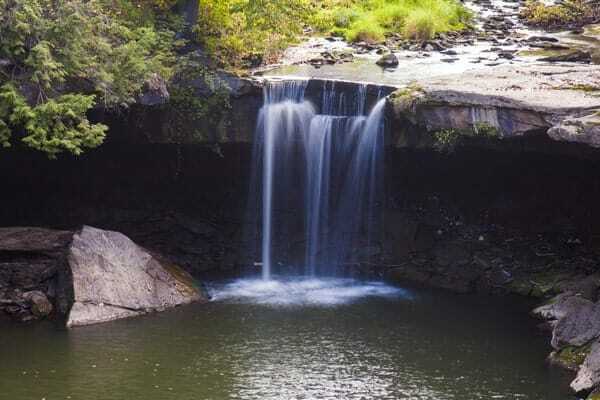 Springfield Falls can be found at the following coordinates: 41.143807, -80.217518. 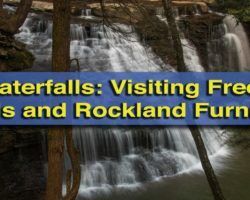 Those looking for more information on visiting can check out this full article about Springfield Falls. There are a variety of hotels to stay at in New Castle, but I stayed at and enjoyed the Comfort Inn, just east of downtown New Castle. 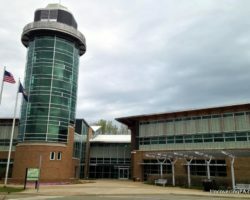 Should you be looking for other things to do in and around New Castle, I’d recommend taking a walk through the beautiful downtown area or visiting the Lawrence County Historical Society Museum. Big Run Falls is located in Cascade Park, southeast of downtown New Castle. This park used to be an amusement park, and many of the buildings date back to this era. If you look closely, you can even see parts of former rides, including a roller coaster that once went through the gorge just downstream of the waterfall. Today, visitors can view Big Run Falls from a nicely manicured observation area above the falls. The more adventurous can continue down the hill and walk up the creek itself. Big Run Falls is very impressive, with a single drop of roughly 25 feet. The waterfall has carved out a very large area and there is a small area behind the waterfall. Big Run Falls can be found at the following coordinates: 40.976914, -80.319651. Those wanting to learn more can check out our full article on Big Run Falls. This man-made waterfall at McConnell’s Mill is just one of several waterfalls to see in the park. Given the large number of waterfalls in McConnells Mill State Park, I opted to group most of them here together. It would be very easy to spend your entire day at this park, but you can see most of the waterfalls here in half a day. 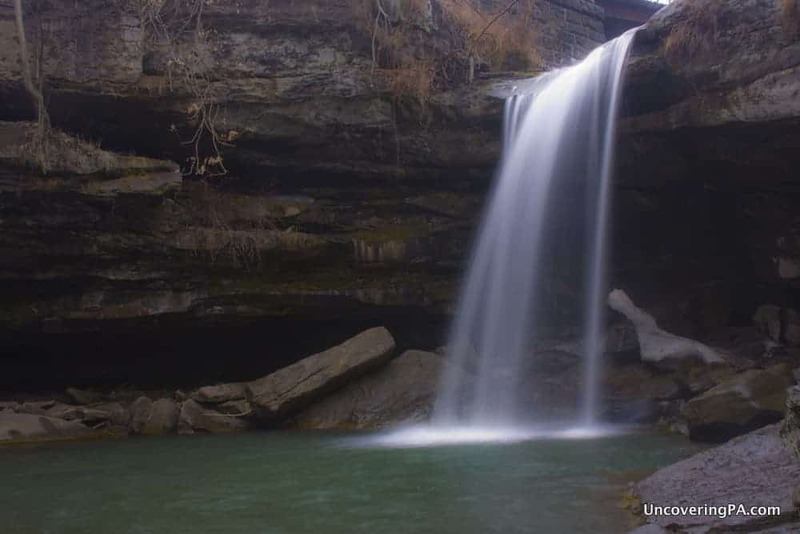 The most popular waterfall at the park is the man-made waterfall along Slippery Rock Creek next to McConnell’s Mill and McConnell’s Mill Covered Bridge. Just up the hill from this area is Kildoo Falls. This waterfall is located below a bridge in the road, and is fairly easy to get down to if you’re used to doing such things. Kildoo Falls can be found at the following coordinates: 40.950019, -80.170467. Further upstream along Slippery Rock Creek, you’ll find Alpha Falls. This waterfall is little more than a trickle except in times of high water. It can found along the North Country Trail at the following coordinates: 40.959229, -80.169226. Breakneck Falls is another popular waterfall, but is very difficult to get down to (it isn’t called Breakneck Falls for nothing). It can be found at the following coordinates: 40.937478, -80.178567. Once you’ve had your fill of the waterfalls along the eastern banks of Slippery Rock Creek, head over to the Hell’s Hollow Trailhead. This trail is roughly 0.5 miles long and travels through the very scenic Hell’s Hollow. Hell Run cuts a deep path through the rocks, making for a very interesting flume just above the waterfall. Hell’s Hollow Falls is a 10-foot high waterfall which slides down in a fan shape. When flowing well, which it was not during my visit, this is one of the most scenic waterfalls in the region. Before leaving the area, make sure to check out the remains of the lime kiln near the waterfall. Parking for Hell’s Hollow Falls can be found at the follow coordinates: 40.931443, -80.240168. Information about how to reach the waterfall from the parking area can be found in our article about Hell’s Hollow Falls. Homewood Falls (also known as Buttermilk Falls) in Beaver County, Pennsylvania. Buttermilk Falls, also known as Homewood Falls, is located along Route 18, just south of Interstate 76. This waterfall is located in a small park and cascades 20 feet over a ledge into a large pool. The area around the waterfall has some trash and graffiti, but the waterfall is scenic enough to make up for this. A fairly large opening behind the waterfall allows you to walk around to the far side of the falls without getting wet. 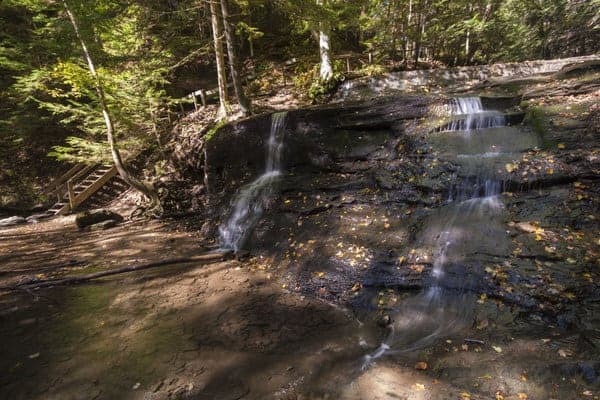 Buttermilk Falls can be found at the following coordinates: 40.814325, -80.327920. For more information about visiting, check out my full article on the waterfall. There are several nearby hotels, but I enjoyed my stay at the Holiday Inn Express in Monaca. Should you wish to drive to Pittsburgh (40 minutes away), the Wyndham Pittsburgh University Center is excellent. Find even more road trips in our top suggestions for Pennsylvania fall foliage trips. Some of the links in this post are affiliate links, which means that we get a small commission, at no additional charge to you, when you book a hotel through them. 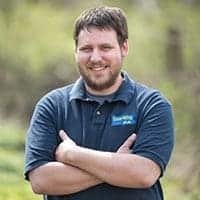 The money we receive goes directly towards helping bring you even more great articles on UncoveringPA. Seriously? Most of these are in my backyard, and I didn’t even know about them. Thanks for giving me some great weekend hikes! Happy to share, Vanessa. Hope you enjoy. wonderful pictures. hoping to get to all of them soon. Sign me up for Uncovering PA Newsletter! 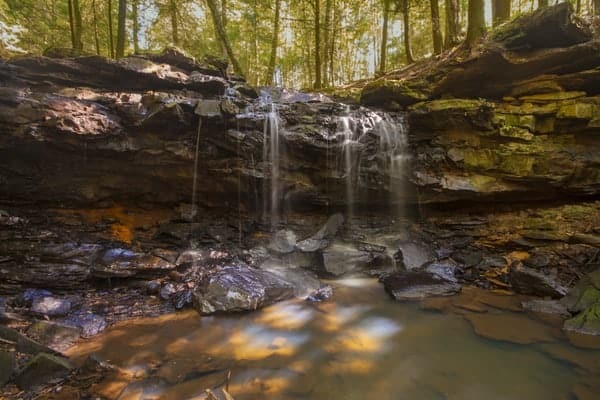 One that’s not well known but a local favorite for us is in Raccoon state park and it’s called the mineral springs……the path is rather beaten up and changes a lot due to them keeping it as natural as they can, but well with it. It was an actual mineral rehab in the 1800’s and is a historical site. The falls of course run better after rain. It’s is absolutely gorgeous and well wooded..kinda off the beaten path…. That one has been on my list to visit for a while now. Hope to get there in 2017.